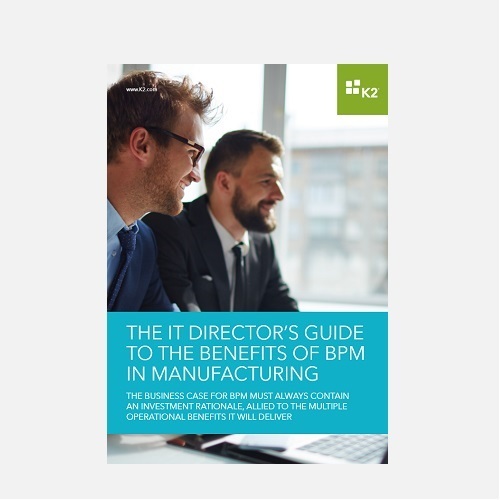 Complex processes and opaque workflows cost time, money and customer satisfaction. 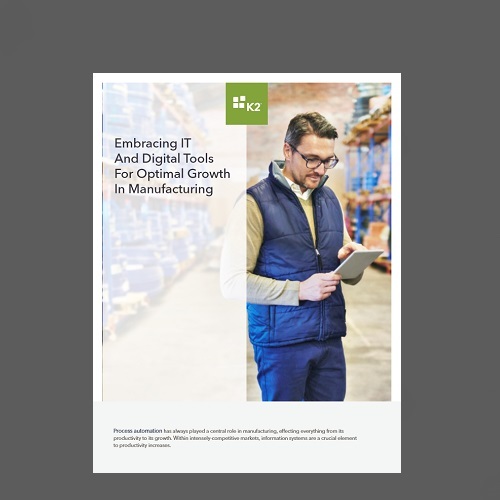 The more resources you pour into getting your disconnected line-of-business (LOB) systems to work together, the less you can devote to innovations that help the bottom line. 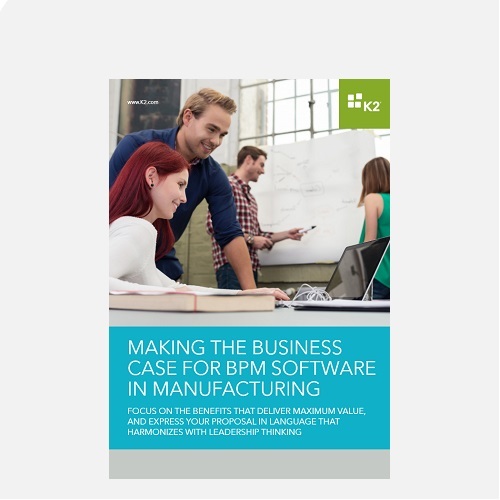 Business applications powered by K2 can streamline the most challenging manufacturing processes you face every day. What is K2? 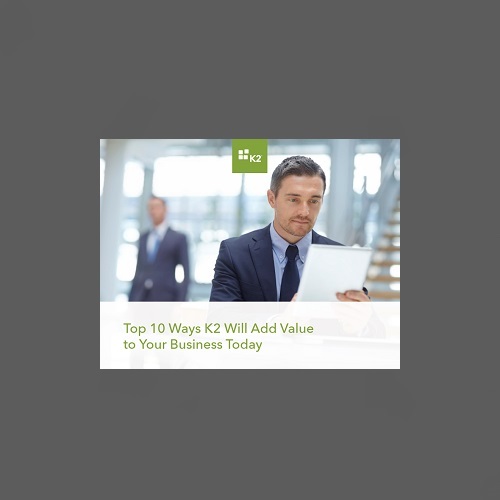 Watch our one-minute video and learn how to drive efficiency with K2. 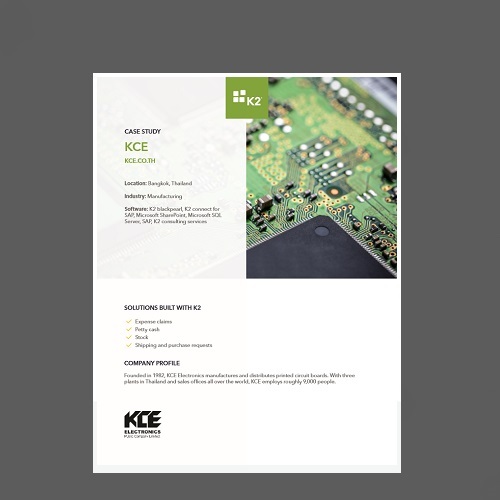 Find out how KCE uses K2 to streamline five internal business processes.